What Causes My Haier Window Air Conditioner Unit to Freeze Over? Haier produces eco-friendly and electric room air conditioning units. The eco-friendly units use less electricity than standard room a/c units and they also use an environmentally friendly type of refrigerant. 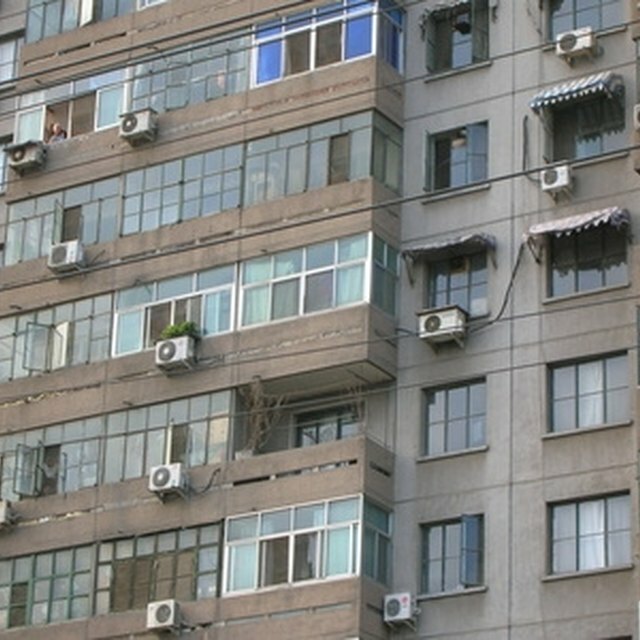 The room air conditioners range in power from 6,000 to 18,000 British Thermal Units (BTUs). If ice forms on the back of your Haier a/c unit it could be one of many problems. The temperature outside might be too cold, which often happens in the fall when the nighttime temperatures drop. Turn the a/c off on the unit, and turn the fan on, which will melt the ice and provide cool air for your room from outside. The temperature setting in your room being too cold also causes ice. To fix it you have to turn the temperature higher in the room to allow the unit to melt the ice and to avoid it freezing again. Your Haier a/c unit may freeze if it produces too many BTUs for your room. If the unit is too powerful for the room, it will run more than it needs to and freeze up. Get a unit that fits the size of the room, or run the unit warmer to prevent this from happening.